Click here for new navy stories! Relive those days in the belly of the beast! Click here to read or submit a navy story. On May 21, 2005 a monument was unveiled in Seneca, Illinois, dedicated to all the workers, who built 157 LSTs at the Seneca “Prairie Shipyard” as well as all those who served on any LST during World War II, Korea, and Viet Nam. The monument contains seals of the US Navy, the US Coast Guard, the British LST Association, and the sponsoring organization, the Illinois LST Association. The monument contains a sculpture of an LST on top of the gray marble center section. On the two flanking black marble sections are etchings of an LST being launched, an LST beached and unloading its cargo of tanks, and a woman shipyard welder. On the sides of the black sections all 157 LSTs constructed at Seneca are listed The monument stands in Crotty Park in Seneca, on property adjacent to the old Chicago Bridge and Iron shipyard. Approximately 500 people from all over the country and Great Britain attended the dedication. After the dedication, approximately 200 of those in attendance gathered together for a catered lunch. About 27,000 people worked at the shipyard during World War II. A number of those and/or their descendants attended the ceremony. They are rightly proud of their contribution to the war effort, as is the city of Seneca, Illinois, the home of the “Prairie Shipyard”. During World War 2 there were 1051 LST's (Landing Ship Tank) built to carry troops and supplies to American and Allied troops fighting in Europe and the Pacific theaters. When WW2 ended most of the LST's were scrapped, modified, or given to Navies of other countries. 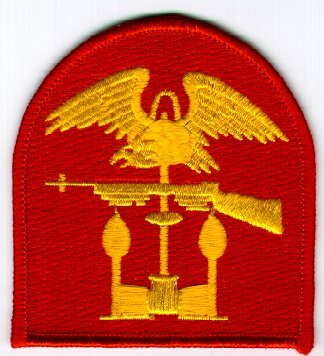 Some remained in service and saw action in Korea, Viet Nam, and even the Cuban Blockade. A few WW2 type LST's remain in service today, but not in the USA. 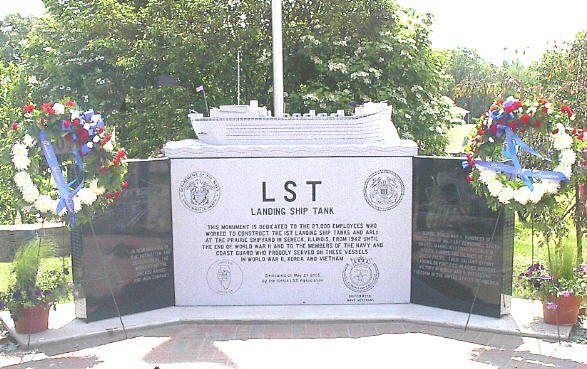 One goal of the LST Association is to reacquire an operational LST from one of the foreign countries, restore it, and put it on display as a memorial to to the sailors who manned these ships and to those who died serving their country on an LST. For more information click on "LST Memorial Information!" below. We would appreciate your comments on this web page.